Tag Archive | "samsung series 5 ultra touch"
It’s always nice to review an Ultrabook that’s well-balanced and good value for money. The Toshiba U940 was one. 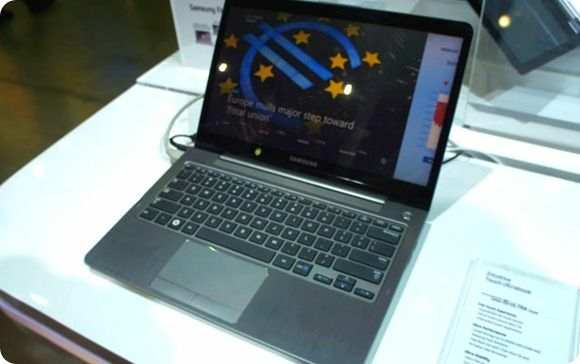 The Samsung Series 5 (Sandy Bridge) was another. 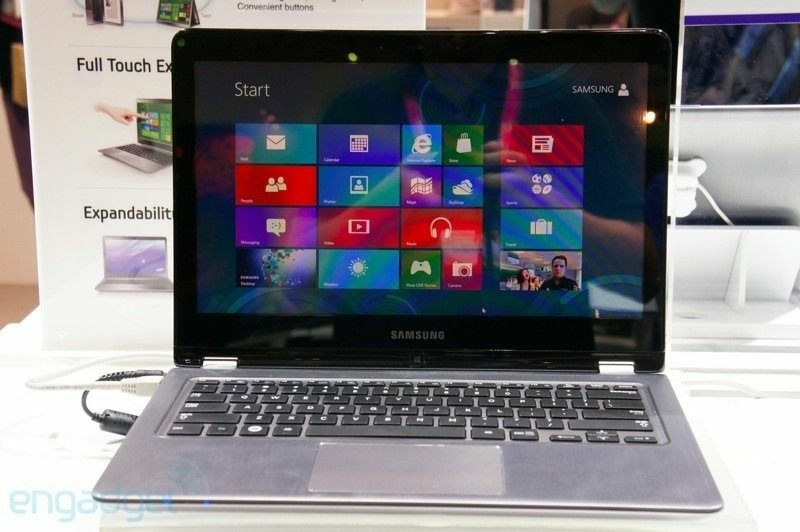 Does the Samsung Series 5 with touch, Windows 8 and SSD, have the same values? Read-on to find out. Videos: Three-Way Touch Ultrabook Session. Update: Session finished. The overview videos are available as a continuous playlist below. A little bit of gaming, a comparison of Ultrabook size and form-factor, touch and non-touch discussion and a lot of live chat. That’s pretty much what you’ll find if you tune into the Ultrabooknews live videocast tomorrow. If you’re lucky you’ll see me blow-up or drop another device! I’ll be here from 2000hrs Berlin time tomorrow (Sat) for 2hrs to show you three new touch Ultrabooks and to offer answers to your questions so drop-in, join the chat and find-out about touch Ultrabooks. 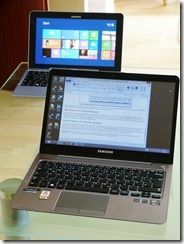 The Samsung Series 5 has always been a well-priced, well balanced Ultrabook and it’s soon to be available in an Ivy Bridge variant. 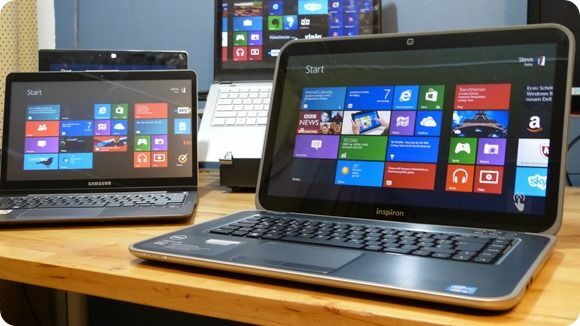 Later in the year we’re going to see Windows 8 upgrades and, according to reports from the show floor at Computex, with a touchscreen. 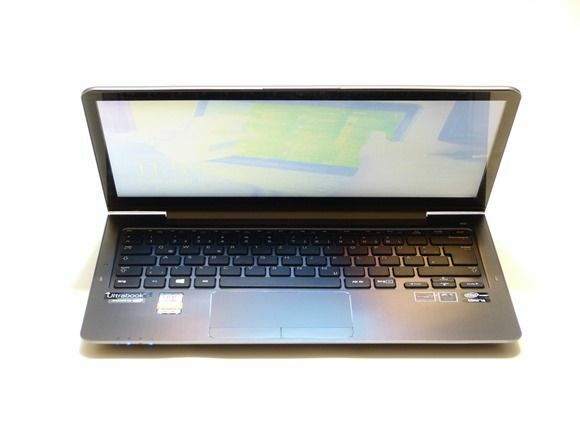 Laptopmag have had hands-on and there’s a video below. We’re told that it booted from cold in 8 seconds! See below. 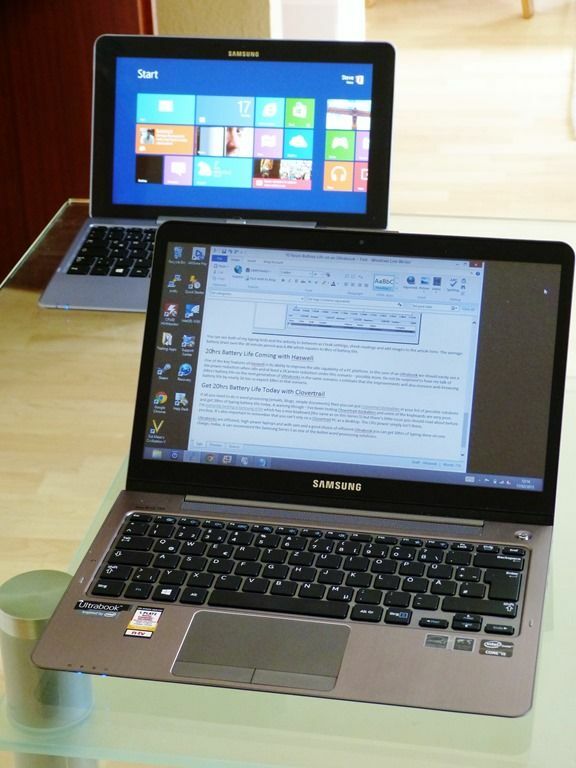 Series 5 Touch-Enabled Ultrabooks From Samsung. The Series 5 Ultra Touch and Series 5 Ultra Convertible have been spotted by Engadget at Computex. The touch-enabled Ultrabooks have not been formerly announced by Samsung (yet) by Engadget have pics and details.